I am going to attempt to not type the word “hard” when describing what I put together tonight because what I made should only be known as cider and nothing else. Everything else is juice. 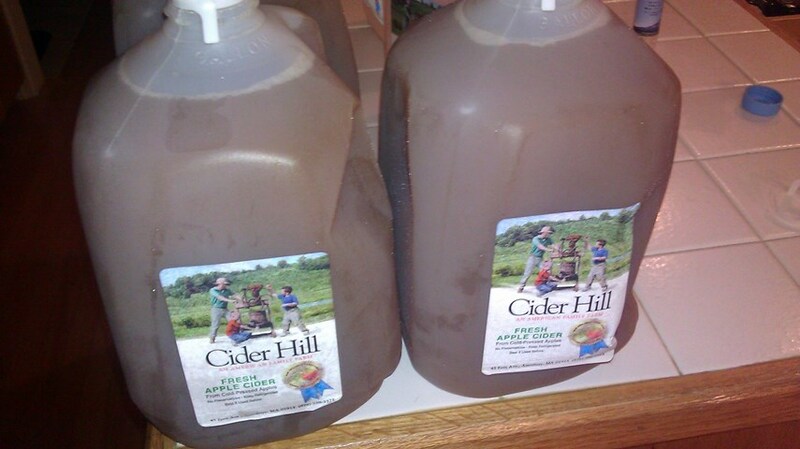 This past weekend, the whole family went for forty minute drive to Cider Hill Farms in Amesbury, MA. After purchasing a “special blend” juice from my local homebrew shop which turned out to be the same pressed juice I could have bought in my local grocery store for a buck cheaper per gallon, I decided that I would source my own juice. Some year, we’ll have to plan another pressing but until then I will source my juice and ferment it without all the manual labor. 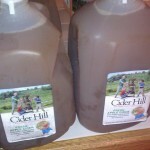 I believe Cider Hill does a good job of blending sweet, sharps, bittersweets, and bittersharp apple and the juice they sell makes for a good base for cider. The price is in the same range for premium, pressed, unpasteurized juice with no preservatives added. Plus, the kids got to see chickens, eat doughnuts, and pick more apples for home. I am using my New England Cider recipe as a guide this year. This year, I am using 5 gallons of juice and I think I am using mostly honey as my adjunct to get the sugar levels above 1.070. 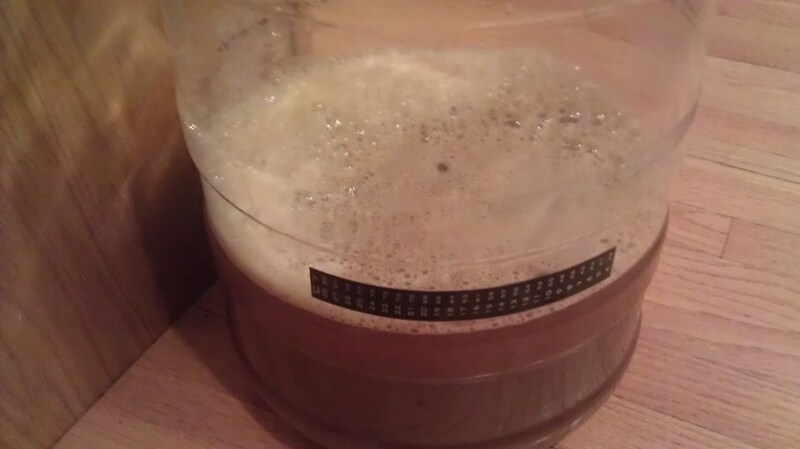 I put in two pounds of honey, a half pound of brown sugar, and a pound of white sugar and that got my starting gravity to 1.072. I read some recipes had the sugar addition bringing the starting gravity to over 1.090 but I guess I am not ready for that jelly. I like it to be just high enough. Without judge feedback from the last one I made, I am left with doing it the best way I know how. Besides, I like the way it tastes. I added raisins to this cider later on. 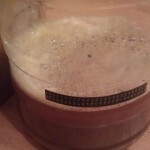 They looked weird floating in the carboy. Check out the bottling notes for this cider. CHECK IT – the cider tasting video!